Today's Inspiration: William A Smith: "...a terrible picture of the atrociousness of war." William A Smith: "...a terrible picture of the atrociousness of war." "At Hsian, previous to coming to Weihsien, I had gone over to visit and make a sketch of George Barr, one of the Doolittle fliers rescued by our team that had jumped into Peking." 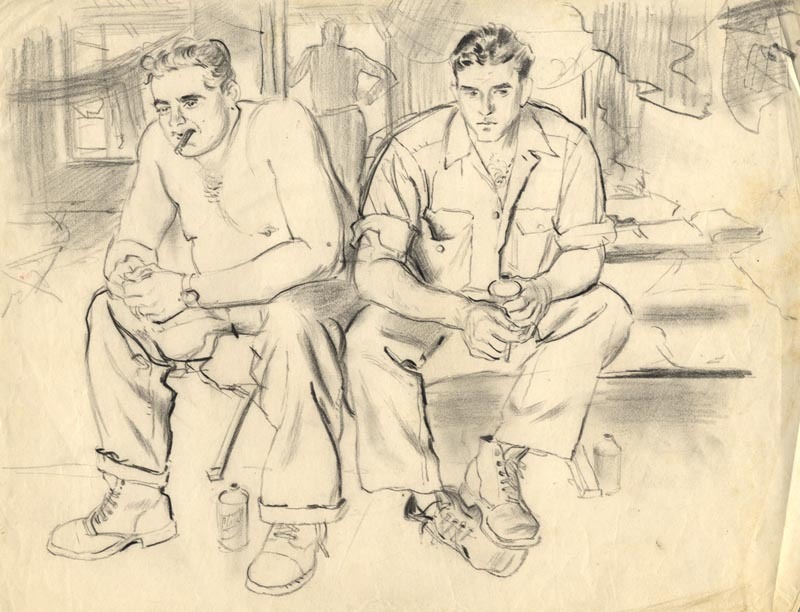 "Kept in solitary confinement for the duration of the war, suffering from beri-beri and having been horribly beaten by brutal Japanese guards, Barr presented a terrible picture of the atrociousness of war. Greenishly pale, staring vacantly at the broken knuckles of his hands, he was unable to recognize or talk to any one. 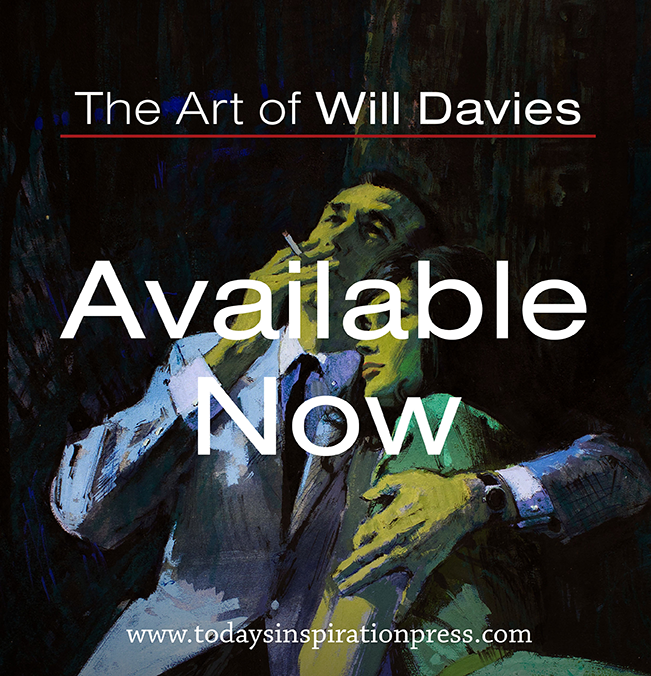 I was so overwhelmed by the sight that I couldn’t draw, but it was so vivid that I could sketch it today from memory." "This experience emphasized the comparative good fortune of the civilians who were interned at Weihsien. They were subject to hardships and indignities, but they were certainly not victims of torture and brutality." "The length of the internment perhaps had a greater effect upon the children than upon the adults. Many of the children know of no other way of life." * My sincere thanks to Kim Smith, William A. Smith's daughter, who provided the text from this article, along with all of the scans. Some of this week's images were from William A. Smith's other OSS missions around China during W.W.II. For those interested in learning more about the Weihsien Prison camp, Kim has provided a number of photographs which I have archived here. As well, Kim located an extensive website about Weihsien that includes "documents, paintings, sketches, texts and memories" of the survivors of the camp. As a final treat, Kim sent along this drawing done - not by her dad, but rather of him - by another artist who's career we've previously looked at: Gilbert Bundy. 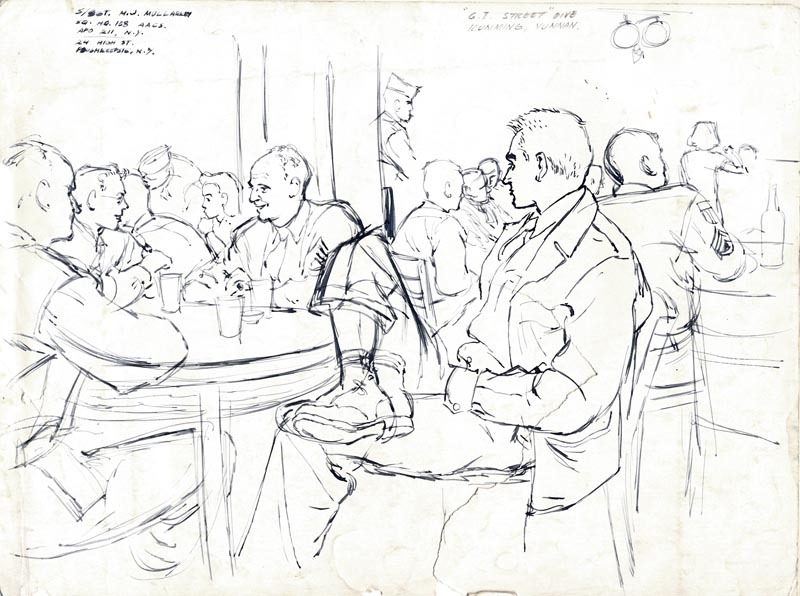 After the war, Bill Smith continued to travel extensively throughout Asia (and Africa) and this drawing was done "on a USO junket to Korea in '51 or '52, when a group of illustrators went to entertain the troops. They wore their own old Army uniforms," writes Kim, "I guess to fit in." Wonderful, Leif. Thank you so much. 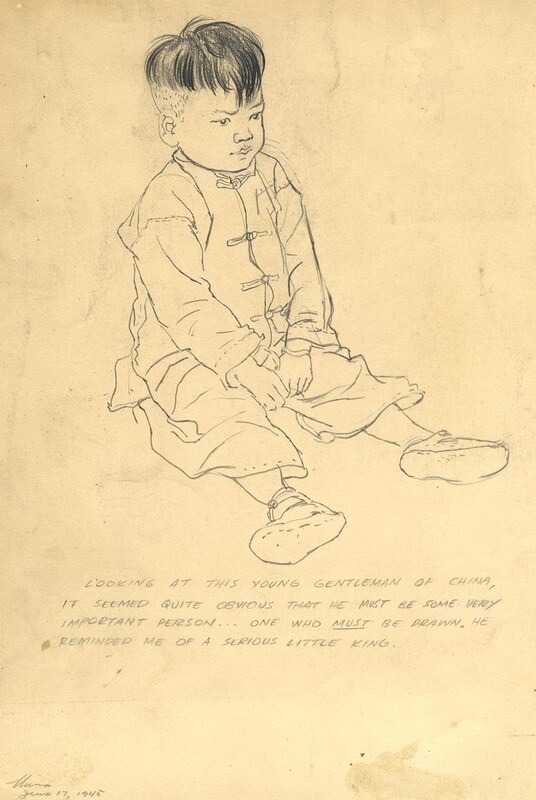 Some of the photos I have unearthed from the archives are of drawings Dad did prior to leaving for China. One of his first jobs for the OSS was to illustrate Japanese uniforms and articles of clothing to aid soldiers in recognizing the enemy. Somewhere in the archives the family has a copy of this catalogue. A humorous story about the making of this document was that several Nisei were hired to pose in Dad's hotel room in Washington DC, dressed in uniform etc., for Dad to draw. The housekeeping staff, not informed of this project, walked in on the sitting. I believe there was a "gun" element to the sittings, because they are depicted in some of the resulting drawings. You can imagine the surprise of housekeeping staff walking in on a Japanese (American) in uniform pointing a gun in the general vicinity of my Dad, also possibly in uniform, in a DC hotel room during wartime! Great job this week, Leif. That's a great story - I can only imaging the ensuing pandemonium, had it been a Hollywood movie. Hopefully the real-life conclusion was , um, unremarkable. Mark - thanks for the encouragement! - the credit must really go to Kim for making this week's series possible. 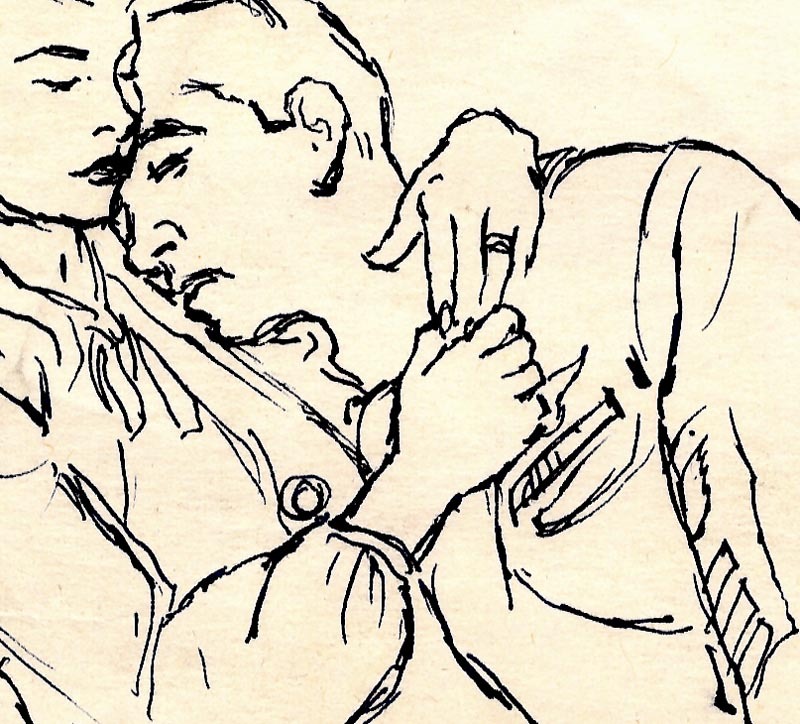 Excellent post-I've studied Ronald Searle's POW sketches in depth but it's great to see other artists interpretations of life in confinement during the war.